REVIEW - Missing: An Interactive Thriller - Episode One - Use a Potion! Is now the time that FMV games can actually be… well… good? In the 90s we saw plenty of them and they never really owed to a great gaming experience, thanks to awful acting, bad quality video and often misguided gameplay. This is the future though; if VR can become a household reality, then why can’t good FMV games?! That’s what Canadian developers Zandel Media are hoping for with their PC launch for Missing: An Interactive Thriller – Episode One. The premise of the game opens with the main character, David, awakening locked up in a dark room hanging from a ceiling. Not a pleasant experience I’m sure, but this is a thriller after all and the game is never shy with its ‘Saw‘-like tropes. 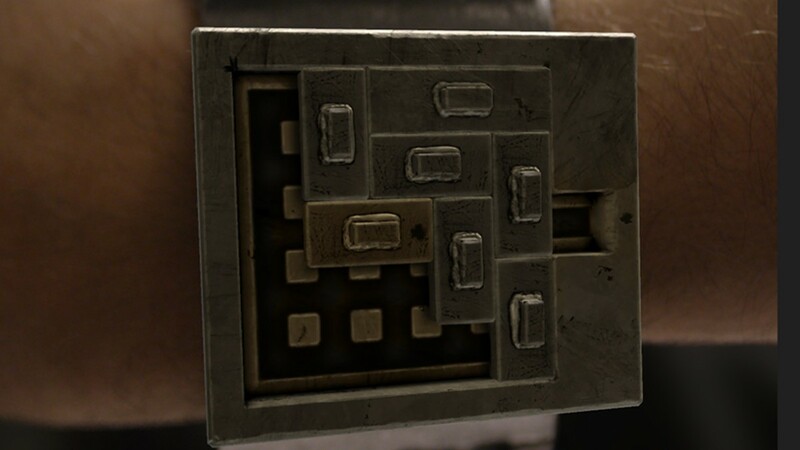 These similarities are more evident as you progress through the game, with David’s captor leaving him with a series of puzzles to solve if he is ever going to see his family again. There is also a smaller side section where you take on the role of Detective Lambert; whilst his is a bit-part role in Episode One, I presume his story will develop into a case of cat-and-mouse with David’s captor. Whilst the narrative is slightly bare-boned it certainly does enough to keep you intrigued; I was hooked and wanted to know what was going on. This is only the first episode in the series, so whilst the mystery may be devoid of answers we can rest assured we’ll learn more as future episodes are released. Hopefully. Whilst typically in a review I’d go on to discuss the graphics of a release, this being a FMV titles means technically there are none; instead I’ll have to approach it almost like a movie review. Now I’m no expert on cinematography, but I was genuinely impressed with Missing: An Interactive Thriller’s FMVs. They had good production values with a cast of actors that could actually act; something that has often been missing from previous FMV games. Everything is in full HD so has a clean look to it – everything is shot on-site too, so there’s no poor looking green screen shots that make everything look artificial. Add in the ominous background music aptly applied in each scene and everything starts to feel really atmospheric; Zandel Media should be commended for doing such a good job. With Missing: An Interactive Thriller having interactive elements, you know there’ll be a lot of puzzles to complete along the way. Whilst these puzzles are all enjoyable to complete, you won’t find anything you haven’t seen before. 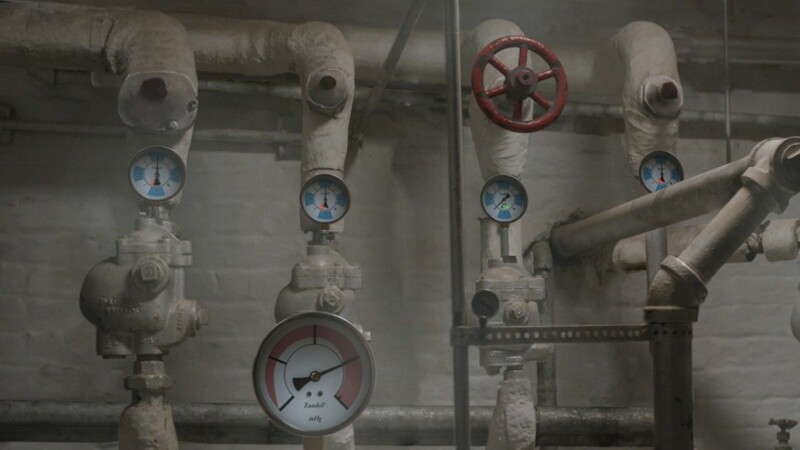 You ave your standard ‘sliding puzzle’, a crossword and of course, a puzzle where you set the pressure on pipes. There’s nothing you would not have seen before, but perhaps that’s simply down to the effectiveness of the puzzle style themselves. Whilst most puzzles require some logic to solve, others fall into the styles of a missing object-point and click hybrid. You’ll be finding objects that are seemingly hidden in plain sight and just putting them where they need to go. Again, nothing we haven’t seen before yet, again, it’s effective. There are a few little puzzles that stood out to me, such as constructing a little slingshot and using it to take aim and fire; whilst the aiming was tricky success was satisfying. There’s a few QTE events too which break up the gameplay, though perhaps this could be seen as another case of the previously mentioned lack of innovation. I don’t want to knock Missing: An Interactive Thriller – Episode One too much because I genuinely enjoyed my time with it; the problem is that time spent with it was very short. I managed to finish the whole thing in thirty five minutes. The game has a very low price point so you won’t feel like you’ve been ripped off with your purchase, but rather disappointed that you’re not able to continue. I feel like the game would’ve served better as a whole experience rather than as episodic releases – this however, could be a stroke of genius by the developers to have us craving the release of future episodes. Missing: An Interactive Thriller – Episode One has a lot going for it, but also suffers a few setbacks. The cinematography is great and really draws you into the experience, whilst the narrative is clearly setting up an intriguing mystery. What it suffers from is a lack of originality; you’ll feel like you’ve solved these puzzles a million times before in other games. Even the premise feels like it could be straight out of ‘Saw‘. Still, it’s an enjoyable game as a whole and if you’re willing to part with a small amount of cash for a similarly small, yet enjoyable, experience then I’d recommend you give Missing: An Interactive Thriller – Episode One a try.